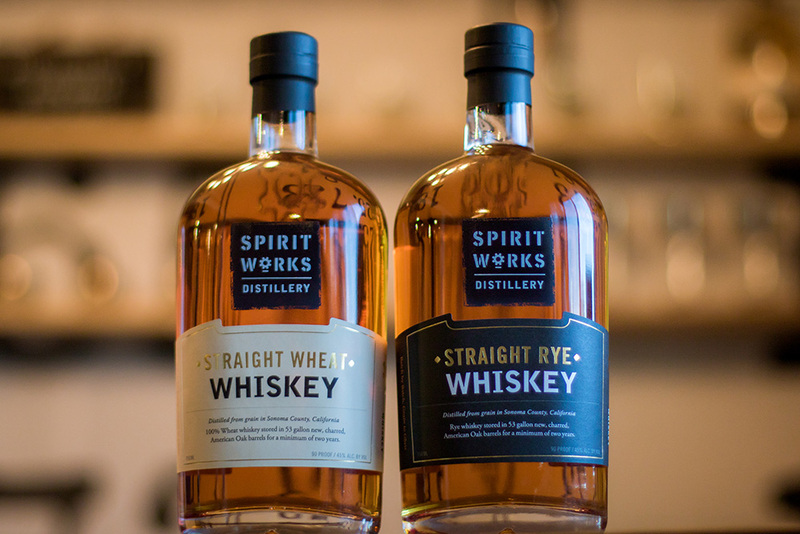 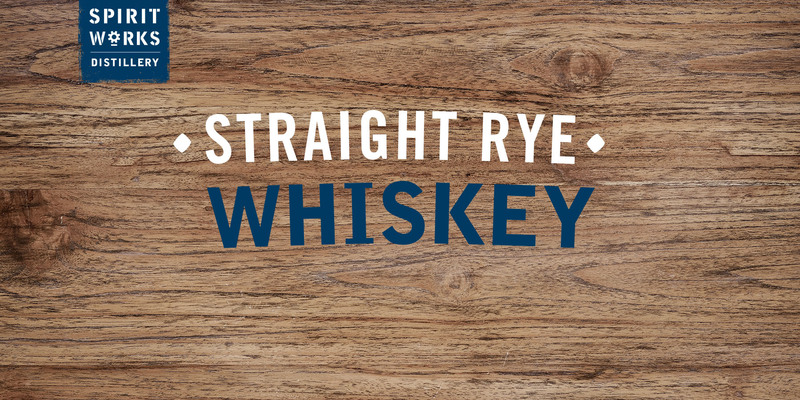 Spirit Works Distillery decided to grow their portfolio with two new small batch Whiskeys. 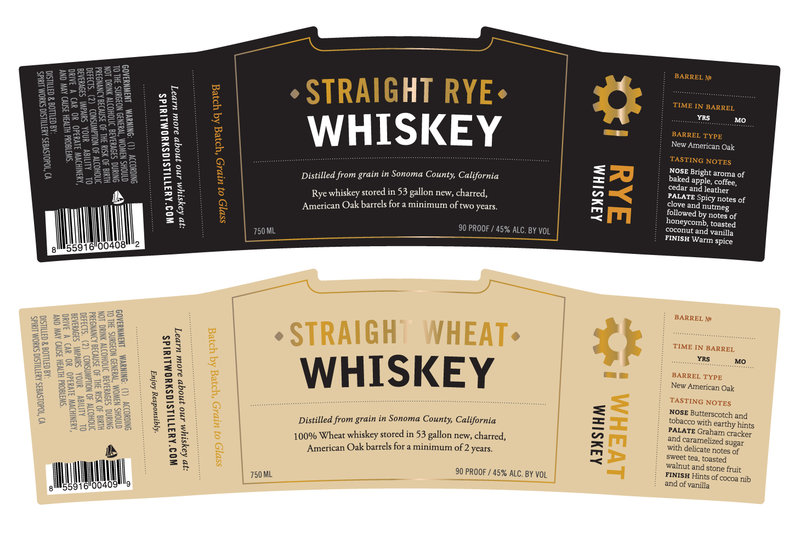 The team also wanted to expanding the design of their labeling system. 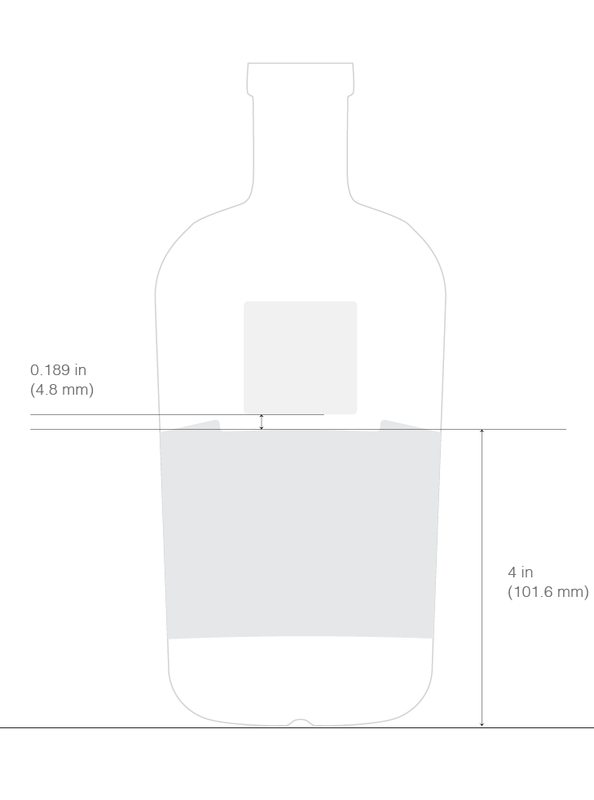 Their core products use a specially designed side wrap label for their tapered bottle. 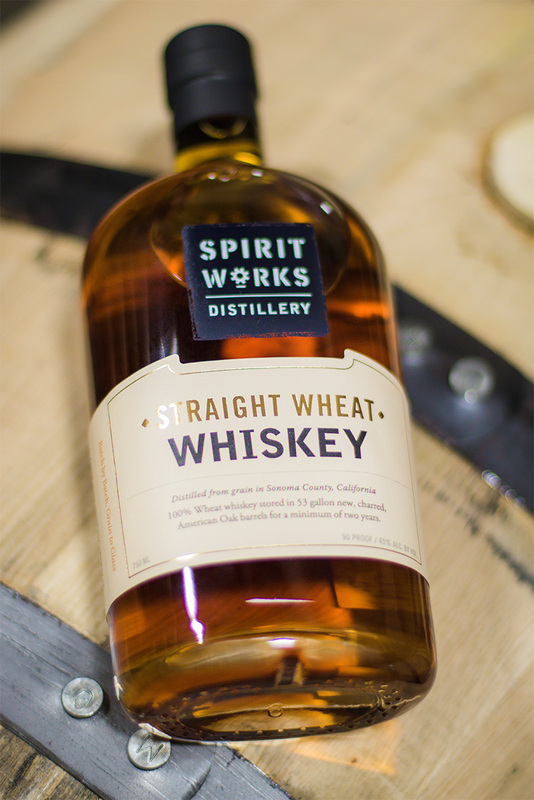 For these new whiskey, we decided to take a different approach and work with the front contours of the bottle and feature their logo printed on the front. 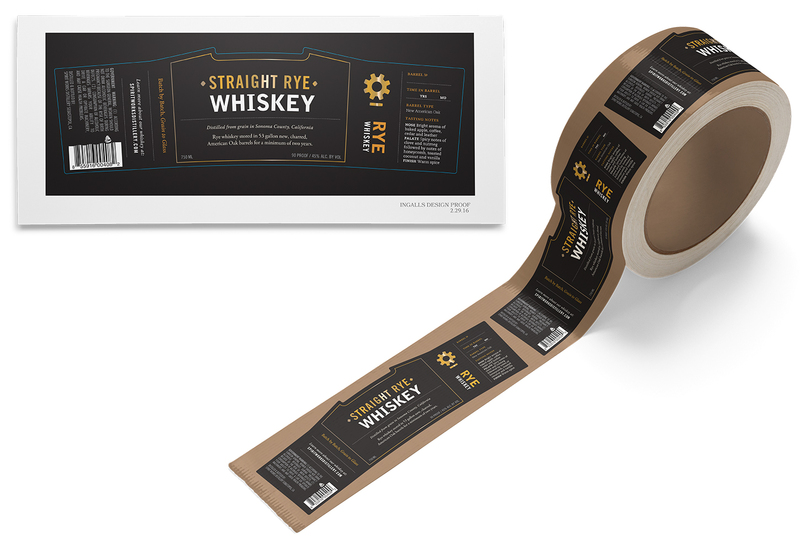 The result was a front wrapping label with a special die cut that nestles the logo. 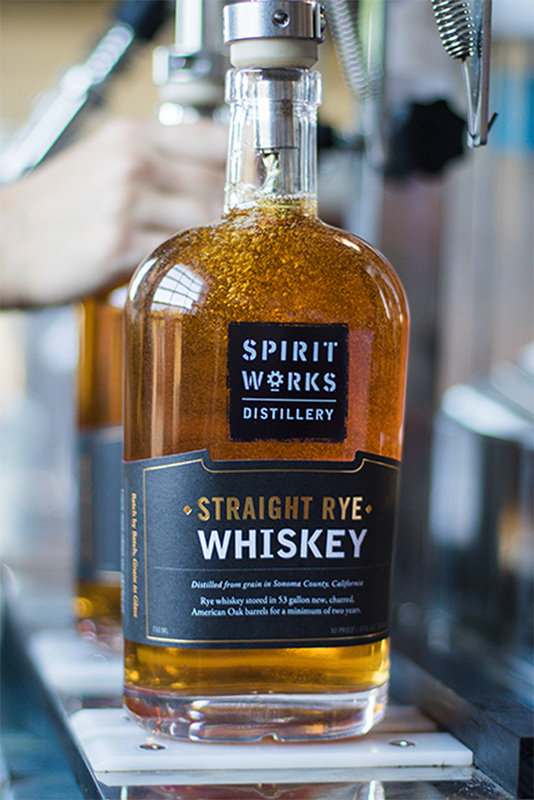 Gold foil on smooth textured label stock brought the design together in a strong brand statement, allowing the bottle to stand out in a dimly lit bar.